AGXGOLF GIRLS "MAGNUM XLT" 460cc 10.5° OVERSIZED FORGED DRIVER. with ..
AGXGOLF GIRLS RIGHT HAND "MAGNUM XLT" 460cc 12° OVERSIZED FORGED DRIVER: .. BOYS MAGNUM 460cc 12 DEGREE DRIVER wBOY'S FLEX GRAPHITE SHAFT; TEEN, TWEEN or BOY'S TALL LENGTHS RIGHT HAND + HEAD COVER! BUILT in the USA!! 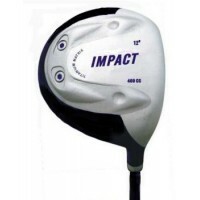 NEW by AGXGOLF: BOY'S EDITION "MAGNUM" SERIES 12 DEGREE 460cc OVERSIZE FACE DRIVER!!! - BOY'S RIG..
AGXGOLF LADY CALCUTTA SELECT EDITION DRIVER & FAIRWAY WOODS FOR GIRLS (ALL LENGTHS AVAILABLE) wi..
NEW by AGXGOLF: BOY'S EDITION "IMPACT" SERIES OVERSIZE FACE DRIVER!!! BOY'S RIGHT OR LEFT HAND AVAI..
AGXGOLF BOYS LEFT HAND "MAGNUM XLT" 460cc 10.5° OVERSIZED FORGED DRIVER - GRAPHITE SHAFT. *..
NEW AMERICAN GOLF EXCHANGE MAGNUM FAIRWAY #7 UTILITY WOOD 21 DEGREE: BOYS RIGHT or LEFT HA..